Android Wear 2.0 launched in early February, but Android Wear 1.0 watch users are still waiting for their wrist wear to get the update. That just changed for some. 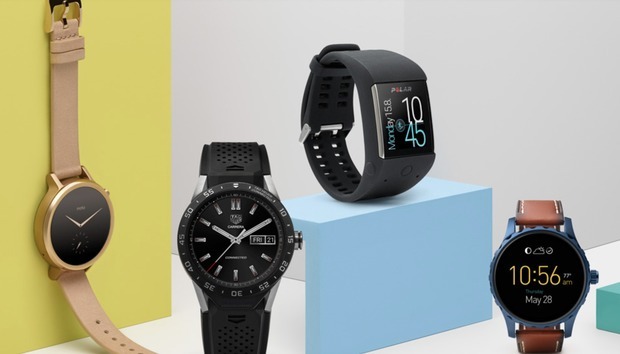 Wear 2.0 started rolling out Wednesday morning as an over-the-air update to the Fossil Q Founder, Casio Smart Outdoor Watch, and Tag Heuer Connected, a Google employee announced on the company’s forums as first spotted by Android Police. The rollout should be finished by Tuesday, April 4. As with Android smartphone and tablet updates, Android Wear rollouts are dependent upon device manufacturers, not Google. This has been the cause of some unfortunate confusion, especially for Fossil smartwatch owners. In mid-March the company said the update was rolling out to the Fossil Q Wander, Q Marshal, and Q Founder. Those announcements went out via Twitter, however, along with a bunch of other dates from the company including the end of March. Now, it appears only one Fossil Q watch is getting the update, leaving wearers of the other two still waiting and hoping. The impact on you at home: If you own one of the watches slated for the update, you can expect to see it within the next week. Other Android Wear 1.0 users will have to wait. The best approach is either to keep tabs on the forum post linked above to see if any new updates are added to it, or check with the manufacturer of your device to see when you can expect an update. Android Wear 2.0 adds some nice improvements over the original release, including Google Assistant, an improved Google Fit, and Android Pay support for watches with NFC.